More than 120 moose have been killed since the program was introduced three years ago. Ottawa flies Aboriginal hunters into the park, and helps them remove the carcass, with the food distributed to Mi'kmaq communities and food banks across Nova Scotia. When a Mi'kmaq hunter shoots a moose in Cape Breton Highlands National Park, the meat feeds children, hides are used in clothing, and there's one fewer ungulate damaging the park's vulnerable forest. However, some citizens question whether an average taxpayer price tag of slightly over $7,900 per animal has been justified. More than 120 moose have been killed since the program was introduced three years ago. Ottawa flies in Aboriginal hunters into the park, and helps them remove the carcass, with the food distributed to Mi'kmaq communities and food banks across Nova Scotia. The five-year Bring Back The Boreal Forest reforestation and hunting pilot program saw its budget double from $1 million to $2.1 million, Parks Canada says. Park conservation manager Rob Howey argues the harvest of 122 animals from an estimated herd of 1,800 since the fall of 2015 has been a worthwhile expenditure. "Parks Canada has a proven track record of effective ecosystem management and population reduction is only used in situations where it's absolutely considered necessary," he said in an interview. The current hunt is expected to conclude in the first week of December. He said the use of helicopters is an efficient method for about six Mi'kmaq harvesters to hunt them and then remove the carcass from rugged terrain in the 20-square-kilometre pilot project. He says early monitoring of the twigs of balsam fir and spruce the moose feed on in the experimental area has shown a significant decrease in the numbers of trees being eaten before they have a chance to grow. Preliminary results from a study area showed about half of the twigs were being eaten four years ago, while this year 90 per cent of the twigs being studied were untouched — increasing the chances the forest will regenerate. However, Rose Courage, a retiree who owns a craft shop in northern Cape Breton, says her access-to-information research applications have led her to view the hunt as overly costly to taxpayers. Parks Canada's total cost for the first three harvests was $731,000 with 122 moose harvested, with the biggest ticket items being travel and overtime costs for park wardens, helicopter flights into the remote area, and the cost of airborne moose surveys. Meanwhile, documents Courage obtained from the RCMP through access to information for the fall period of 2015 and 2016 added about $233,000 in policing costs, with an added $7,141 for overtime last fall. The total doesn't include the basic salary costs of Mounties for the last hunting season, which the RCMP says is not available. The Mounties point out in an email that in early years there were protests and opposition that needed police resources, and the costs have fallen since then. Overall, the average cost of just over $7,900 per moose death is obtained by dividing the Parks and RCMP totals with the 122 moose the park says it had killed in the study area up until last year. Other access-to-information documents indicate that in Gros Morne National Park in Newfoundland, the estimated cost to hunt moose is $1,000 to $1,500 plus the cost of meat distribution, for a program with a similar purpose of forest regeneration, though where terrain and access may differ. 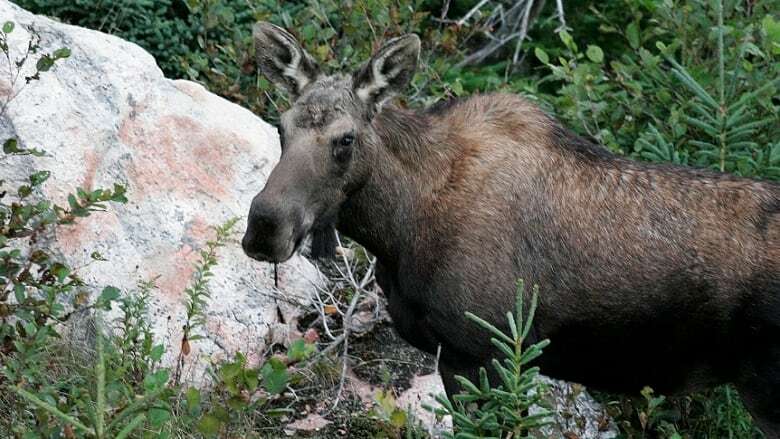 Courage suggests increasing the use of fenced enclosures to keep moose out of certain areas of the park — a tactic the park is also using — is preferable to the intensive hunting methods. "Cost doesn't seem to be a huge issue as they've already spent close to $1 million killing moose. I believe killing an animal in a national park should be a last resort and it seems to me there are other options," she said. A spokesman for the volunteer Mi'kmaq hunters say there are significant benefits to their communities and to food banks from the thousands of kilograms of meat regarded as a delicacy by the First Nation. The moose are among the most prized animals in traditional Mi'kmaq culture, hunted for millennia and with every part of the animal used for food, tools and cultural artifacts. The Cape Breton hunt has provided meat for Mi'kmaq communities across the province, and some hides were turned into drums by an elder for distribution to schools, says Clifford Paul, moose management co-ordinator at Unama'ki Institute of Natural Resources. Over three years, the harvest of moose represented over 56,000 pounds of meat, representing 168,000 meals. "From a Mi'kmaq point of view we're out there to provide and we're out there to share," said Paul. Meanwhile, some of the costs in the early years are decreasing, say the RCMP and Parks Canada. Howey estimated this year's cost for the harvest is approximately $150,000. In 2015, the cost was $292,000. Howey said it's not yet known if further harvesting will continue. "We're going to take back all the results analyze and determine what the best approach might be to restore the boreal forest. Ultimately that's our goal. ... No decisions have been made past 2018," he said.